Paul the Weatherman? 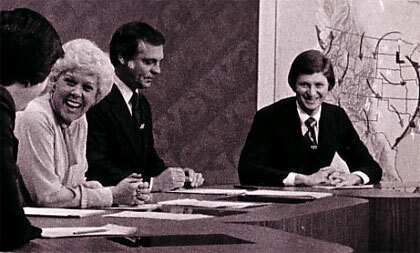 No, it’s Paul the Legal Commentator on WPLG-TV, Miami with Ann Bishop and Glenn Rinker. Apparently, color television had not yet been invented. Ann and Glenn now broadcast the news from that big studio in the sky. 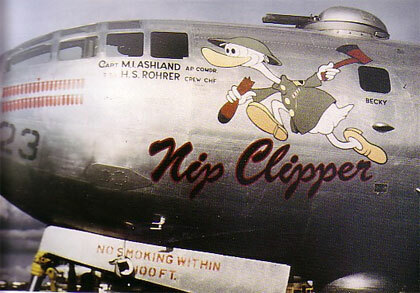 The “Nip Clipper,” Lt. Stan Levine’s B-29 in World War II. The plane was shot down over Japan in August 1945. 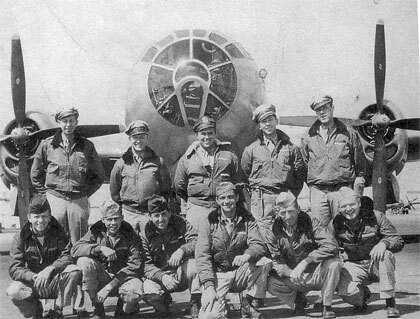 The crew of the “Nip Clipper,” with Lt. Stan Levine (Paul’s Dad), back row, far left. Ten of the eleven crewmembers parachuted to safety. Well, not exactly “to safety.” To the ocean where they were captured by the Japanese militia, turned over to the Army, and held for a relatively brief time until the Japanese surrender and eventual repatriation. 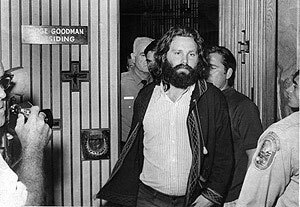 Jim Morrison, of the Doors, leaving the courtroom where he was convicted of lewd conduct for exposing himself during a concert. It was the last trial Paul covered for The Miami Herald before going to law school…in hopes of defending talented but eccentric rock stars. Instead, he defended U.S. Gypsum Co., one of our nation’s proud asbestos manufacturers. 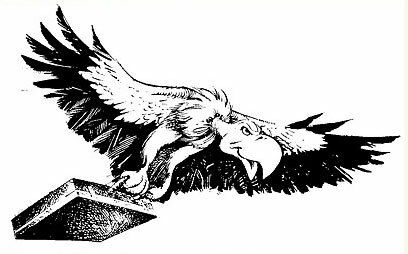 “Ladies and gentlemen of the jury, I show you Exhibit A.” The small sign on the wall above the judge’s bench reads: “We who labor here seek only the truth.” Okay, stop laughing! Paul windsurfs off the coast of Maui. Absolutely true story. 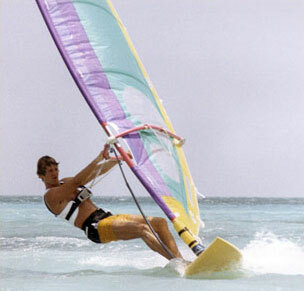 Paul gets injured; can’t windsurf on rest of trip; starts writing some gibberish on a legal pad that eventually became, “To Speak for the Dead,” his first novel. 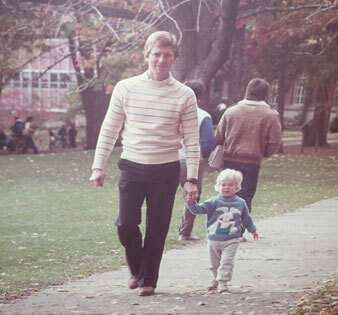 Paul gives a campus tour to son Mike, trying to convince him to apply early – 14 years early! 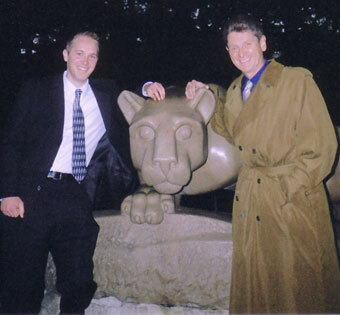 The payoff: Paul and Mike with the Penn State Nittany Lion. 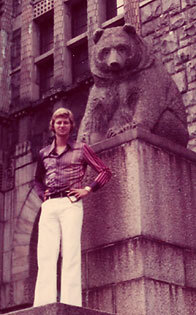 Helsinki, July 1974: American tourist (and international fashion icon) wearing a nylon Nik-Nik shirt, white bell bottoms, and more hair than the bear. 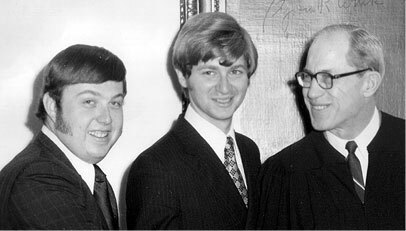 Paul claims he just had his hair trimmed before this photo was taken with law school classmate and moot court partner Dan Schwartz. Showoff Paul tries to teach pal Tim Johnson how to windsurf in Miami. Tim, a defensive tackle, who’s now a pastor, owns a college national championship ring (Penn State) and a Super Bowl ring (Washington Redskins). Hurricane Andrew (1992) lays waste to the author’s Miami home and apparently deposits yet another small, furry animal on his head. 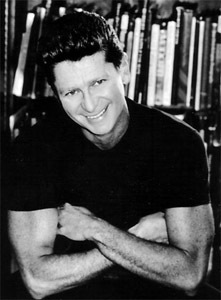 Paul at his first signing, Books & Books, Coral Gables, FL., in the days before he needed the services of Ray the Retoucher for all close-ups. 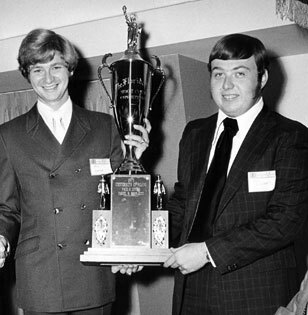 The University of Miami Law School’s 1972 national championship moot court team, Daniel Schwartz (left) and Paul Levine, are congratulated by Supreme Court Justice Byron White. No, that is not a muskrat on Paul’s head. 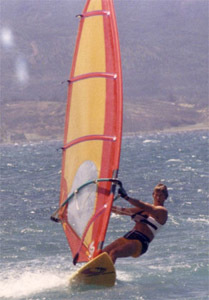 Jake Lassiter, protagonist of Paul’s first seven novels, enjoys windsurfing. Why not? So does Paul, picture here off Aruba. 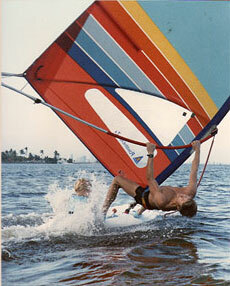 Remember the credits sequence of “Miami Vice.” The windsurfer doing a head dip? Paul tries it here with his four-year-old son Michael on the back of the board. History does not record whether Paul carried off the move or crashed. 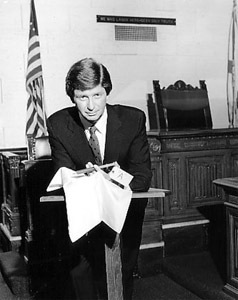 A rare shot of Paul, in his lawyer days, hurrying to court. 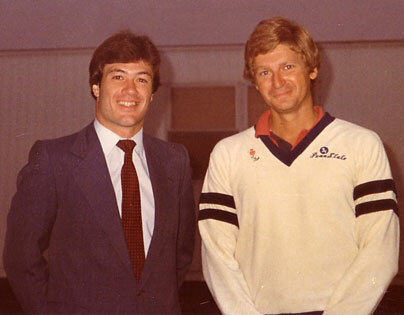 A long ago morning at the State College, PA airport with Jimmy Cefalo (former Penn State and Miami Dolphins wide receiver). One day earlier, the Nittany Lions upset number two Nebraska, 27–23 and went on to win the 1982 national championship.